Has all the shaadi shopping left you broke? Forget investing in real metal pieces and carry a fresh look to each occasion with affordable rented jewellery. Sector 47’s Rent Jewels will let you borrow accessories from their amazing collection at super affordable prices! 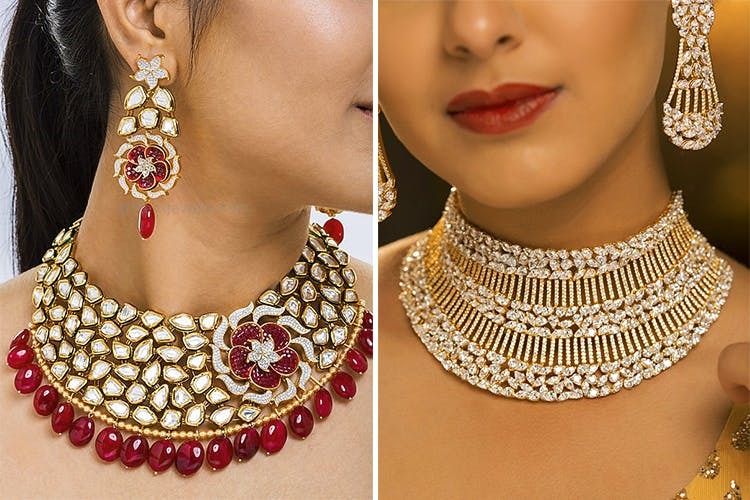 This designer jewellery house is owned and managed by jewellery designer and stylist Taruna Biyani who has come up with an aim to create designs which would dazzle everyone and make a statement every time one adorns a RentJewel piece, and that too at a very affordable price. This online sensation even offers free delivery and return service. So now you just have to log on, select your jewellery piece and get it delivered and returned without any hassle. They let you rent a single for maximum 3 days and their prices range from minimum of INR 1,500 and can go up till INR 16,000, depending on the piece and style you select. RentJewels has not been the stereotype since the very beginning. They even have their designer pieces on sale. Serving all types heavy, semi-heavy and light jewellery pieces that can perfectly enhance the look of any outfit and let you create a statement every time you wear any of their pieces. This shaadi season get a unique and fresh look for every occasion you pay a visit to. No more heavy investment or wait to bring together those year long savings, now you can affordably carry designer jewellery pieces and become the talk of the town.